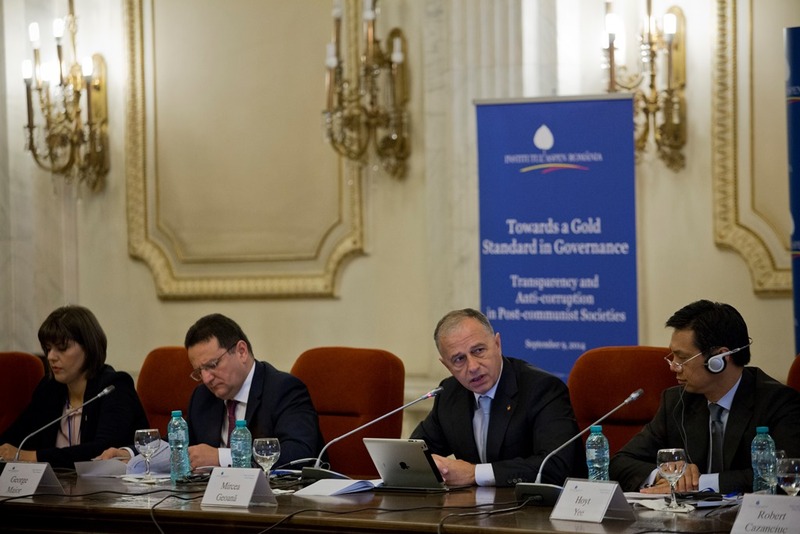 Towards a Gold Standard in Governance, Transparency and Anti-Corruption in Post-Communist Societies The conference was organized on the occasion of 25th anniversary of the fall of the Berlin Wall and the end of totalitarian regimes in Central and Eastern Europe in 1989. It builds on the experience and work of the Global Governance Forum convened in Prague since 2011 and it is centered on a community of individuals and institutions that believe the next stage of EU integration of CEE countries is centered on building a Good Society. The main guest of the conference was be Mr. Hoyt Yee, Deputy Assistant Secretary for European and Eurasian Affairs, US Department of State. Keynote speakers, panelists and participants are all part of the larger community involved in the good governance efforts in the political, economic and social context in the region. These included officials from central and local governments ministries of Justice, finance, public prosecutors and judges, politicians, expert, representatives of the public and private sector from CEE, EU Commission, current Presidency of the Council of the EU, US State Department, World Bank, CEDO, Council of Europe, GMF, Brookings Institution, etc. Overcoming real and nominal convergence issues that separate these countries from the developed economies and societies of EU is rooted in governance. The economic and social performance of these societies, their prosperous, inclusive, just and stable future rests on their ability to become real “good societies” in the classical sense of the term. A central pillar of this is combating corruption, promoting transparency and the rule of law as essential good governance elements.